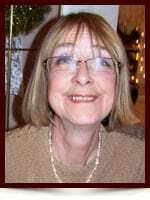 Maureen Veronica Seaton (nee: Lavery) - Edmonton's Burial & Cremation Professionals | Trinity Funeral Home Ltd.
On Thursday, August 20, 2015 Maureen Seaton of Edmonton passed away at the age of 60. She is sadly missed by her loving family; husband David, son Christopher, her sister Teresa and brother Patrick. Maureen also leaves numerous nieces, nephews, other relatives and many friends. Friday, August 28, 2015 at 10:00 a.m.
Maureen’s final resting place will be Holy Cross Cemetery. Sending sincere condolences to David, Christopher, Teresa and Pat. Remembering my cousin Maureen with love. Miles apart but always close in thought. David and Chris and family . We are very sorry to hear that such a lovely caring person as gone so soon . The Angels need her and Maureen is looking over us and smiling . It was a great pleasure to have know her and will always be in our family hearts . Our thoughts are with you guys . My deepest and sincerest condolences on the loss of Dear Maureen, I know she will be sadly missed by all her family and friends.Gone much too soon.R.I.P my Dear.